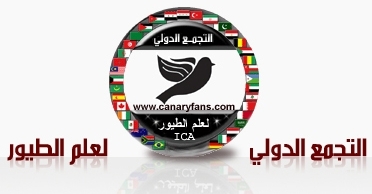 I made a video of two parts and included in it pictures of all kind of canary birds. Wow, Thank you so much for this nice work. Really I enjoyed watching it. Pictures worth more than million words. By watching this video carefully, I think everyone can differentiate between all types and breeds of canaries. Again, Thanks for this nice topic and looking to see more from such an experienced brother like you. Thank you for this very wonderful videos. I am only sad about one description. You know, I am a German breeder and I like the German Crested Canary, but in your desription you called this bird Crested Colour Canary. Sorry, I am very, very sad. I can download this videos and archive for myself ? Me who should be sorry and sad. It is not my fault as I hove a source from which I take all the list of birds. But as I know the German canary or crested German Canary is not colored?!!! If you have pictures you can share us. and we will be more happy to know more about the German crested canary. You have my permission to download what you like. Very interesting and beautiful pictures. I missed some new mutations like “Jaspe Simple Dilution and Jaspe Double Dilution”, have you seen these birds? Yes that is right, as the source did not mention them, The Jaspe is consider new mutation. Yes I saw them but in pictures their is no Jaspe in my country may it will takes time to breed it. Their are topics about the origin of Jaspe and the new its new mutations in the Arabic community. Sorry for my delayed answer because since the last few weeks my home is flooded and I must evacuate my birds. We call every kind of normal crested Canary German Crest Canary. In January 2011 I visited the last German Championship in Bad Salzuflen. After the problem in my home is finished, I will write something more about the Genetic and the difference in the breeding of Colours or a good Crest.